Hi! 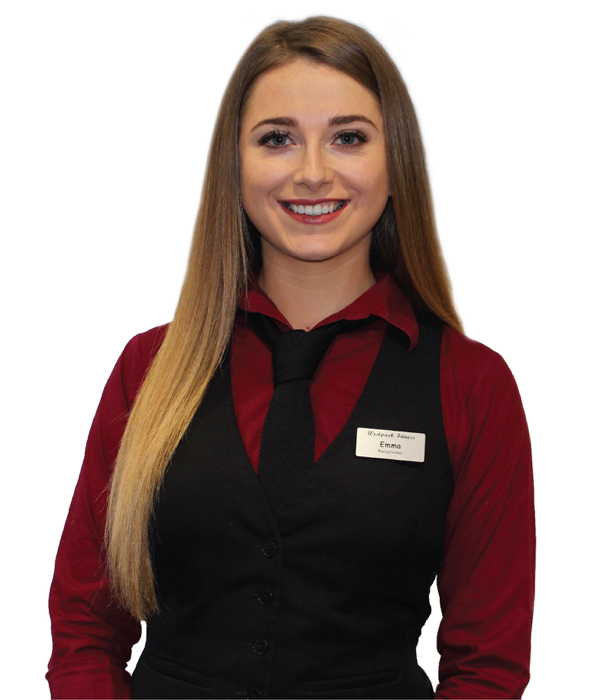 My name is Emma and I’ve been working as a receptionist here in Westpark Fitness since October 2017. I’ve also been a member here for over 2 years. My favourite class at the moment is Body Balance, it improves flexibility and enhances mental well-being while also being very relaxing. Since the Myzone belt has been introduced to Westpark Fitness, my training has improved considerably. It helps me track my progress while showing me exactly how much effort I have put into each workout. My favourite thing about my job is the happy, positive atmosphere in the gym and the new the people you get to meet every day. I’m interested in astronomy and I’m a huge animal lover. I went back to college to study Animal Science and am now a qualified Veterinary Assistant. In my spare time, I enjoy hiking up the mountains and enjoying the outdoors!